This photo shows McCarter Highway/Route 21 in Newark. Livingston, New Jersey: An event in Livingston this weekend will feature a variety of organizations dedicated to animal welfare. The Livingston Pet Expo will be held at The Shoppes at Livingston Circle, formerly known as The Village at Livingston, on Sunday, November 1st from 1:00pm to 5:00pm. A variety of animal rescue, adoption, and education agencies will be present, including the Seeing Eye Puppy Project of Essex County, the Montclair Township Animal Shelter, People for Animals, and Eleven Hour Rescue. In addition, cat food will be accepted for donation, and extra Halloween candy will be accepted to donate to members of the United States Military. The event will be sponsored by the Township of Livingston, the Friends of the Livingston Animal Shelter, and Eastman Companies. The plaza is located near Route 10 at 277 Eisenhower Parkway. Click here to learn more. Millburn, New Jersey: The Millburn Free Public Library will host a program regarding the Statue of Liberty. On Sunday, November 1st, historian Kevin Woyce will speak about the history of the statue that towers over the New York Harbor. Woyce is the author of the new book Liberty: An Illustrated History of America's Favorite Statue. The event, which will be sponsored by the Friends of the Library, will begin at 2:00pm. It will be held in the auditorium. The event is free and open to the public, and registration can be made online. The Millburn Free Public Library is located at 200 Glen Avenue near the corner of Lackawanna Place. Click here to learn more. This photo shows rush hour traffic at Raymond Plaza outside of Newark Penn Station at nightfall. Short Hills, New Jersey: An annual Millburn Township tradition will return this weekend. The Short Hills Art & Street Fair will take place from 10:00am to 4:00pm this Sunday, November 1st. Millburn Avenue will be closed from Short Hills Avenue to Baltusrol Way, near the Springfield border. There will be a variety of activities for children, including inflatable rides, pony rides, games, and a petting zoo. There will also be clowns and jugglers, and the NJ 101.5FM Jersey Prize Team will be present from 12:00pm to 2:00pm. In addition, there will be crafters, vendors, and artists. Parking is available on side streets, and transportation is available by taking NJ Transit Bus 70 to the corner of Morris and Millburn Avenues in Springfield. The event will be presented by the Millburn-Short Hills Chamber of Commerce. Click here to learn more, or call (973) 379-1198. Caldwell, New Jersey: Children in West Essex can go trick-or-treating at local businesses in addition to homes this year. According to the Caldwell Merchants Association, 'Safe Halloween' trick-or-treating will be allowed at businesses along Bloomfield Avenue in Downtown Caldwell from 12:00pm to 4:00pm. Owners of several local businesses will distribute candy to children. Caldwell Police Department officers will be present at several street corners to help children and their parents cross safely. Click here to learn more. Bamberger's Department Store in Downtown Newark may have closed in 1986, but this ghost sign still towers over Halsey Street. It was one of the largest department stores in the country. 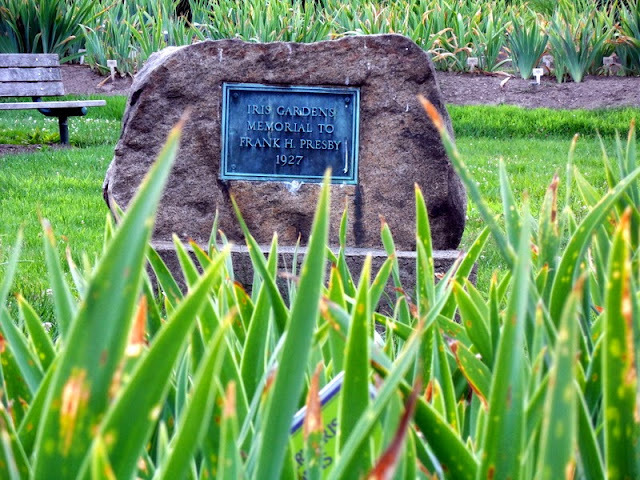 Maplewood, New Jersey: A Maplewood tradition will return to the township again this week. The Maplewood Village Halloween Parade will be held one day before the holiday on Friday, October 30th. From 2:30pm to 5:30pm, Maplewood Avenue will be closed as families go trick-or-treating at businesses in Maplewood Village between Baker Street and Durand Road. Hundreds of people are expected to attend. No parking on Maplewood Avenue and the Ricalton Square parking lot will be permitted after 1:00pm, though interested attendees can take the train to the event using the Maplewood Train Station. The Maplewood Chamber of Commerce and the Maplewood Village Alliance will sponsor the event, and there will be a costume contest for children. Click here to learn more. Orange, New Jersey: Students in Orange could begin Halloween morning at the Orange Public Library as part of a new program. The Read-In event will allow middle school students to sleep in the library from Friday, October 30th to Saturday, October 31st. Admission to the event, which will be supervised by staff, is free. Dinner and breakfast will be served, and there will be tours of the library, video presentations, games, scavenger hunts, competitions, and more. In addition, attendees will create videos for Channel 35, Orange's public access station. The registration deadline is October 27th. The event will be sponsored by the Orange Public Library, the Orange Housing Authority, and the City of Orange. Click here to learn more, or call library director Timur Davis at (973) 673-0153. South Orange, New Jersey: An Asian restaurant franchise will open a location in the South Orange Village Center. Noodlefan of South Orange will be located at 14 Academy Street, between Irvington Avenue and First Street. The restaurant specializes in Thai food, and menu items range from chicken satay to oxtail soup to curry. This will be the first location in Essex County for the Union County-based chain. There are other locations in Monroe, Elizabeth, Union, and Jersey City. The Elizabeth location opened last week, and the company will soon expand to Jersey City's Journal Square and Staten Island, New York. The space that will be occupied by Noodlefan was previously part of the Family Buffet Restaurant and Bar, which closed at the beginning of this year. The building was recently renovated and subdivided, and one of the spaces is now used by the South Orange Convenient Stop. UPDATE 11/3/16: According to Bob Zuckerman of the South Orange Village Center Alliance, the restaurant will open next week. This photo shows the view of the buildings surrounding Washington Street and University Avenue as seen from Newark Broad Street Station. This mural is located under Route 280 in Newark's Central Ward. This photo shows Newark's Riverfront Stadium, the former home of the Newark Bears. South Orange, New Jersey: The new Stop & Shop supermarket in South Orange opened its doors to shoppers Friday morning. 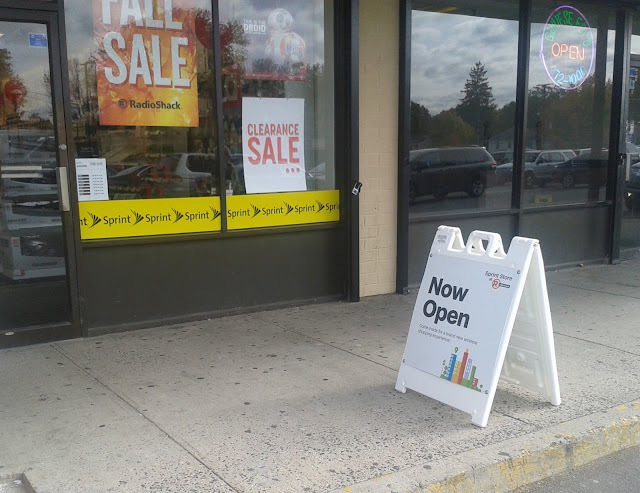 The store, located at 407 Valley Street near the Maplewood border, operated as a Pathmark location until October 14th. New lighting, signage, and refrigeration systems were installed during the past week, and several former Pathmark employees are now employed by Stop & Shop. The South Orange Pathmark was the only supermarket owned by The Great Atlantic and Pacific Tea Company (A&P) in Essex County to have been acquired by Stop & Shop, which is based in Massachusetts. Although two Essex County markets that were owned by A&P were sold to Pennsylvania-based ACME Markets, most locations have not been sold. These stores will close in the near future should no company offer to purchase them. The new South Orange supermarket is one of several changes that have been made to the Valley Street corridor in the village and neighboring Maplewood in recent months. A CVS/pharmacy location opened in Maplewood in June where an A&P supermarket once stood, and Blink Fitness recently announced plans to build a club location at the other side of Stop & Shop's parking lot. According to public records, Blink Fitness had been considering South Orange for a new location for several months. In addition, a new mixed use development consisting of apartments and retail space is slated to be completed by the end of this year at the corner of Valley and Third Streets. Bloomfield, New Jersey: The Bloomfield Police Department will open its doors to the public again this year. The annual department open house will be held on Thursday, October 29th, from 6:00pm to 8:00pm. Members of the community are encouraged to come to this free event. Tours of police headquarters will be offered, and there will be food, drinks, giveaways, activities for children, and face painting. The Bloomfield Police Department headquarters is located at 1 Municipal Plaza, between Bloomfield Avenue and Franklin Street. Parking is available in nearby lots and on surrounding streets, and transportation is available using local buses and the GO28 express bus. Click here to learn more. This photo shows the view of Maplewood and Union County from Columbia High School's observation deck. Newark, New Jersey: M&M's is returning to Newark, but only for two days. Mars Chocolate, the makers of M&M's candies, will open an M&M's Halloween Pop-Up Store in Downtown on Tuesday, October 27th and Wednesday, October 28th from 10:00am to 7:00pm. Free costumes will be distributed to young children who come with a parent or guardian, and free candy will be distributed to all attendees. The store will be located within the Newark Pop-Up Shops space in the National Newark Building at 744 Broad Street. The space used to be occupied by a Verizon Wireless store before it moved a few doors away. On October 28th, from 4:00pm to 8:00pm, there will be an M&M's Family Fun Zone event for children at the John F. Kennedy Recreation Center in the Central Ward. There will be a variety of activities and games, and Kelly Rowland will reportedly greet attendees. The center is located at 211 West Kinney Street. The first M&M's Pop-Up Store opened in Hackettstown, Warren County in 2012, near the company headquarters and factory. Although M&M's candies are now made in Hackettstown, they were originally produced by the Mars family in Newark. The first company factory was located on Badger Street in the Clinton Hill section of the South Ward. The plant later moved to North 12th Street in the North Ward before moving to a former farm in Hackettstown. The North Ward plant building is now owned by an art storage company, and houses have been built in the past five years at the site of the South Ward plant. UPDATE (NOVEMBER 2017): Valley Mall Plaza has opened its doors. Irvington, New Jersey: After several years of construction, a new mall is preparing to open in Irvington. The 230,000 square foot Valley Mall Plaza in Irvington's South Ward is now aiming to open to shoppers in November, according to Jennifer Corrao of Weichert Commercial Brokerage. The mall was originally slated to open in 2013. Valley Mall Plaza is located at 468-480 Chancellor Avenue in the Camptown neighborhood of Irvington, near the Newark border. It was built opposite Essex County's oldest ice cream store, Dairyland, at the site of the Valley Fair market. The Irvington Valley Fair was located within a former tank factory, according to The Record. The store closed in 2008, though the Valley Fair Super Discount Center sign, a common sight to drivers on Route 78, still remains on Chancellor Avenue. The mall will feature nearly 500 free parking spaces, and five NJ Transit bus lines already stop outside of the building. Value Zone, a department store with locations in Irvington Center and Bloomfield, signed a lease for a 30,000 square foot space at Valley Mall Plaza in March, 2013. In addition, there will be a food court on the mezzanine level. According to Barry Feldman of Weichert, it will have "typical mall hours", though there will be 24 hour security. This will be the third indoor mall in Essex County and the first new indoor mall in Northern New Jersey in decades. The Mall at Short Hills and the Livingston Mall both opened over 35 years ago. A listing of the remaining tenants has not been available yet.